Back cover blurb: An unnamed defendant stands accused of murder. Just before the Closing Speeches, the young man sacks his lawyer, and decides to give his own defence speech. He tells us that his barrister told him to leave some things out. Sometimes, the truth can be too difficult to explain, or believe. But he thinks that if he's going to go down for life, he might as well go down telling the truth. There are eight pieces of evidence against him. As he talks us through them one by one, his life is in our hands. We, the reader - member of the jury - must keep an open mind till we hear the end of his story. His defence raises many questions... but at the end of the speeches, only one matters: Did he do it? 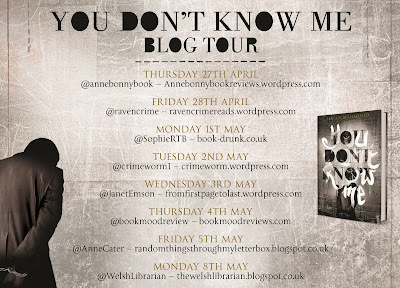 You Don't Know Me is a crime novel with a difference, not only is it from the defendant rather than the victim's perspective, but we also never know the name of our perpetrator. On trial for murder he sacks his lawyer just before the closing speeches and decides to deliver his own defence. In a sense we the reader, are an additional member of the jury, but we hear none of the preceding trial evidence, hear no witness statements, no cross examination. All we have is the defendant's word. As he talks through the evidence that has been previously presented we are allowed an insight into this young mans life. His upbringing, his family and friends, and the path that led him to be tried for Murder. Gangs and criminals in London may not be anything new, but to delve into them in the depths that this novel does, from the perspective of this nameless character certainly is. And it works. Sure, it may put us into a world in which we are unfamiliar and uncomfortable, but as the defendant argues, we don't always get to chose what happens to us. His is a convincing argument, whether it is convincing enough, well sadly the jury is still out on that one. And there lies my one and only frustration with this novel is that we don't learn the outcome of the trial. I understand that this is deliberate, that we are supposed to make our own decisions, but it would have been interesting to get the authors perspective. You Don't Know Me is a brave and clever debut novel that is sure to have you gripped. The voice of the defendant is raw and gritty as he appeals to the jury to believe his story, but you will want to know who he is and if you can trust him to tell you the truth. Do we know him at all, is he guilt-free? Or is he just another murderer trying to convince himself and the jury of his false innocence? 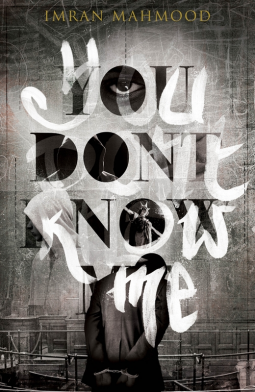 You Don't Know Me is available now via Amazon online and all good book shops.